Does your business need low pricing on inexpensive bath towels that dry fast and keep their size and shape longer? Towel Super Center can help! Our economy bath towels are a top choice of value-focused businesses because they provide long-lasting quality in a 100% cotton towel. 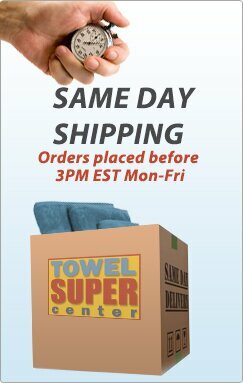 Shop Towel Super Center and get the savings and quality you expect today! New Gym? Need Towels? No Problem! If you're just opening your gym to the public, or are about to, congratulations! As you get all your operations and equipment in order, not to mention work on your marketing plans, remember that you'll want to make a wonderful first impression from day one. Having white bath towels can help ensure your gym looks pristine, clean and modern — but you don't have to overspend to stock up. 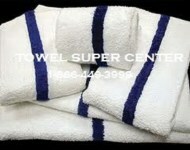 Towel Super Center offers 24" by 50" white bath towels perfectly suited for health clubs and gyms at low, low prices. 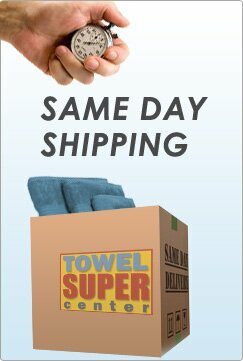 In fact, the more units of one dozen towels you order today, the less you'll pay for each towel. Where else can you get this kind of quality as a new business owner? Make your clients happy and enjoy continuous growth with a little assistance from the best white bath towels for your budget. Existing Health Club? Give Those Towels a Facelift! The towels you're offering your guests are stained in places, and you can't get the stains out even when you use bleach or bleach alternative products. Your gym towels are starting to fray at the seams, or they have holes and rips. 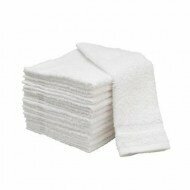 Guests frequently ask to use several towels because they feel like one towel isn't wicking away moisture. You've noticed that your bath towels are starting to smell musty, even after laundering. Although you've attempted to make them smell better with fabric softener and flowery smelling detergents, nothing seems to make them odor-free. Sound familiar? If so, you will be happy to learn that you don't have to overspend to get quality white bath towels. 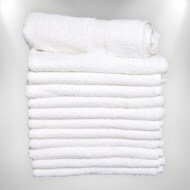 In fact, you can order wholesale bath towels for your entire facility. Where could you use a wholesale bath towel in your health club or gym? Locker Rooms. A primary area for stacked bath towels is the locker room. Be sure you offer your guests a place to put their used bath towels so you can collect them frequently for immediate laundering. Workout Rooms. Although most people use hand towels to wipe off after a tough workout, some do prefer to have a large bath towel as an alternative. Pools. The pool area is the ideal spot for some white bath towels. Plus, you won't have to worry about the chlorine bleaching the towels because they're already white. 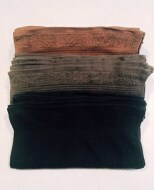 Pure cotton construction in a durable, absorbent towel. High-volume businesses love our towels because they absorb quickly and dry fast. Toss them in the washer and dryer, and you'll find that they stay fluffy and soft. Long, dense fibers help them keep their size and shape, too. A huge selection of towels, mats and more for every need. Browse our selection, and you'll find a range of fabric weights from economy to luxury. You'll also discover incredible savings on towels, mats and sheets of all sizes — and in dozens of colors. 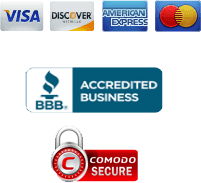 Wholesale prices and lower rates on shipping. Our economy bath towels cost as little as $21.99 per dozen. And because we pack them for savings in mind, you'll spend less on delivery, too. Businesses count on Towel Super Center to provide them with the high-quality, low-cost towels they want. Shop our selection of economy towels and get the value you deserve!